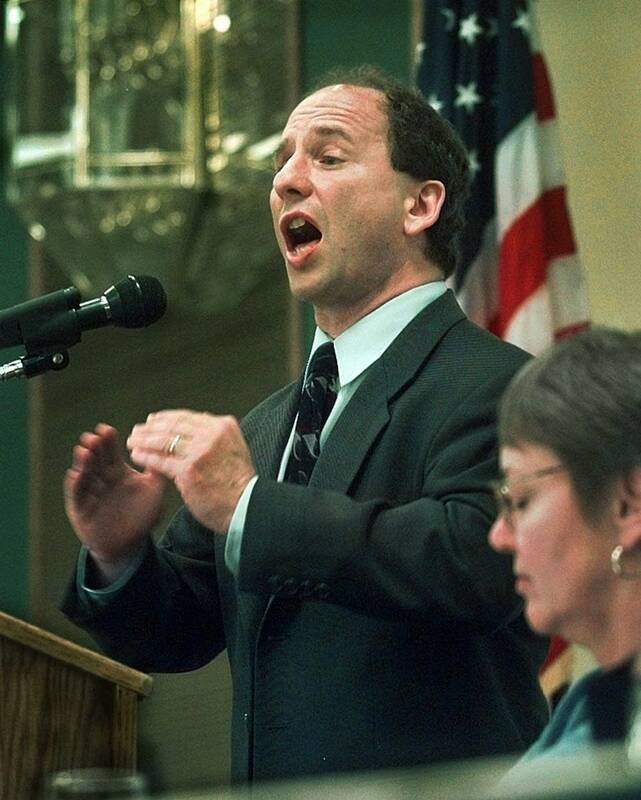 Paul Wellstone died 10 years ago today in a plane crash near Eveleth that also killed his wife, daughter and five others. Since then, his status as a progressive icon has become firmly lodged in the history books. He was traveling in northern Minnesota during his campaign for re-election to the U.S. Senate when he died. And his legacy is now part of a new book titled "The 100 Greatest Americans of the 20th Century: A Social Justice Hall of Fame," by Peter Dreier, who teaches politics at Occidental College in Los Angeles. MPR's Cathy Wurzer spoke with Dreier on Morning Edition about why Wellstone was included in a book that also features other progressive icons such as President Theodore Roosevelt and folk singer Pete Seeger. "Paul Wellstone was a fighter for social justice his entire life, and he just happened to be a U.S. senator," Dreier said. "He was way out in front of the agenda of the progressive movement by making sure that he wasn't just talking about these issues, but he was actually engaged as an organizer and activist in those issues," Dreier said. "When he was elected to the United States Senate, he continued to be an activist and an organizer, which is very unusual. Paul saw himself as one of those activists who happened to be a politician." In the Senate, Wellstone did not have a great deal of success in getting legislation passed. Dreier noted his national influence, though, because "he was one of those people who helped to set the agenda. He put the ideas out there ... Paul was way out there supporting, for example, single-payer 'Medicare-for-all' legislation long before President Clinton and then President Obama put that on the agenda. "So I don't think we would have had health care reform in 2010 if Paul Wellstone hadn't been organizing and speaking out for more dramatic health care reform over a decade earlier," Drier said. In Dreier's estimation, Wellstone underwent an evolution in the Senate. After a bold speech in 2002 opposing U.S involvement in the Persian Gulf War, Dreier said he was able to become "friends with people who he disagreed with and was able to work with them ... Paul learned how to be an inside player without forgetting his roots as an outside activist." What if the plane crash had never happened? "If Paul were alive today and if he were still in the U.S. Senate," Dreier speculated, "he'd be flying all over the country, working with, for example, the Wal-Mart workers, who were on strike [in Los Angeles and several other cities] in the last couple weeks - he'd be on their picket line. He'd be out there helping to build the movement for social justice." Wellstone's ideals live on, Dreier noted, through the politcal group Wellstone Action: "Paul's legacy continues even though he's been dead for a decade." Two Democrats who followed in Wellstone's footsteps in the U.S. Senate, Amy Klobuchar and Al Franken, were due to appear at memorial-related events for Wellstone and the others killed in the crash on Thursday on the Iron Range. MPR's Mary Armstrong contributed to this report.